My computer troubles are over at last! My darling son built me a brand new one after we went and shopped for all the components a week ago. What an education. And since hardware is his specialty but software is not, my husband brought in his good friend and computer expert to transfer the files over. As ANY crafter knows, we have files. Boy, do we have FILES. Zillions of them. Two day's worth of transferring and tweaking. And our hearts palpitate at the thought of losing even one teeny tiny one. I was assured no files would be lost. And the long and short of it is, none were (though there were a few heart-stopping moments yesterday when I thought some were missing, but the Silhouette store is a champ at letting us recover everything we've ever bought). It was up to me to download all of the external softwares again, including Adobe Photoshop (nothing nice to say about them or their "customer support"), my Silhouette Cameo, my Viking embroidery machine and my digital camera. 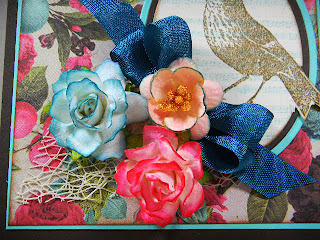 Good thing I know how to do all that because I had this project to do and limited time in which to do it, but all is well, I'm back up to speed, my craft room is humming again, and I have a fun tutorial to share with you that I've posted over on StampNation today! The lesson is how to custom color purchased flowers to fit your color scheme, and I do hope you'll pop on over to take a look! The stamp is Papaya Collage by SU, the flowers are from WOC, and the paper is "Madeline" by Prima. It is such a beautiful print that I let it do most of the work. I applied a bit of glitter to this flower as, even with all the color and pattern, I felt this section was a bit "flat." I finished the inside with a bit of stamping. 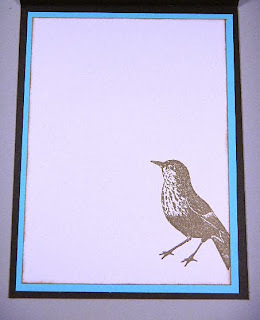 This card will go to a friend who fell down her stairs and broke her foot last week. Thought this might cheer her up. Thanks for popping in and I do hope you join us over at StampNation! Definitely will cheer up your friend Shea - a beautiful card! 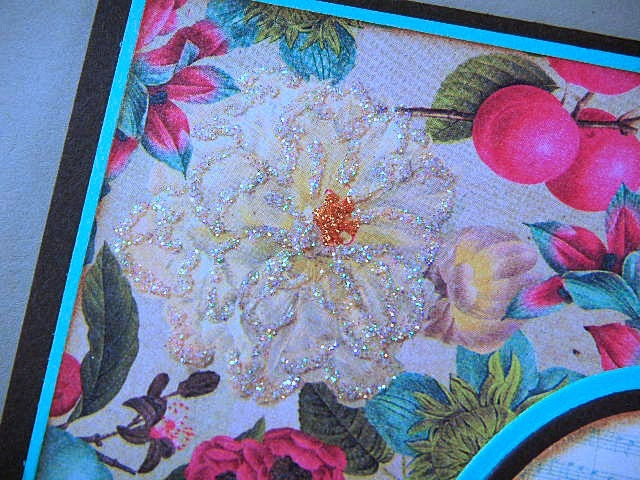 Gorgeous card, Shea! And thank you for the tutorial. Glad your computer's up and running again too! 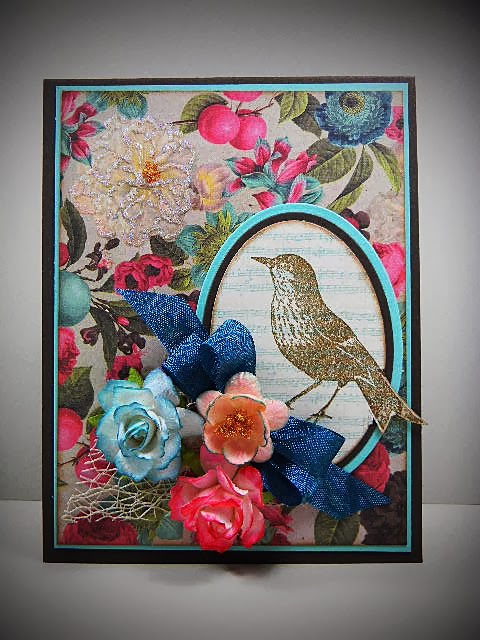 Beautiful card, Shea! Happy to hear your computer is up and running again.